Global Uplift partnered with the Monterey chapter of Red Cross to send volunteers to help remove rotted and damaged parts of houses of those in need. They then replaced the parts as well as provided new appliances such as refrigerators and stoves for the occupants. 500 tents were also delivered as part of the effort to house those affected. Retrans Trucking volunteered to transport the tents to Houston. Salinas native Eric Liittschwager, one of the leaders on this project, flew from Monterey County to Houston, Texas. Eric rented a U-Haul and then drove to the Gulf Coast to the affected areas to provide the tents, volunteer services and support. Global Uplift also sent $3,000 to a church that provided shelter and meals to the refugees of the storm. Several volunteers also went to help feed the poor and homeless in the area. Special thanks to Donna Pharo, who collected funds to be sent to a church in the Katrina disaster area to feed the poor and homeless. Special thanks for the first donation to Global Uplift during this disaster from the representatives of a village in India. 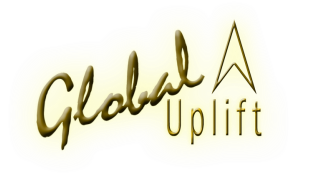 Global Uplift had previously helped them to recover from a Tsunami. They pledged $1,000 in hopes to help the victims of the United States' own disaster. Many other volunteers also agreed to help in this relief effort as well and Global Uplift is ever grateful for their support and for their care.